Microsoft Web Apps will allow you to edit, view, and share MS Office documents over the web with the same functionality as their desktop suite. They recently launched a limited technical preview to users last week and today we will take a look at what they have to offer so far. 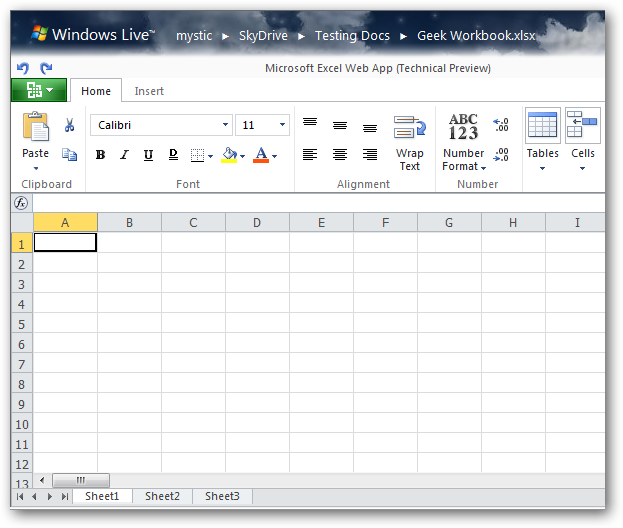 Microsoft Web Apps is a new service that will coincide with the launch of Office 2010. 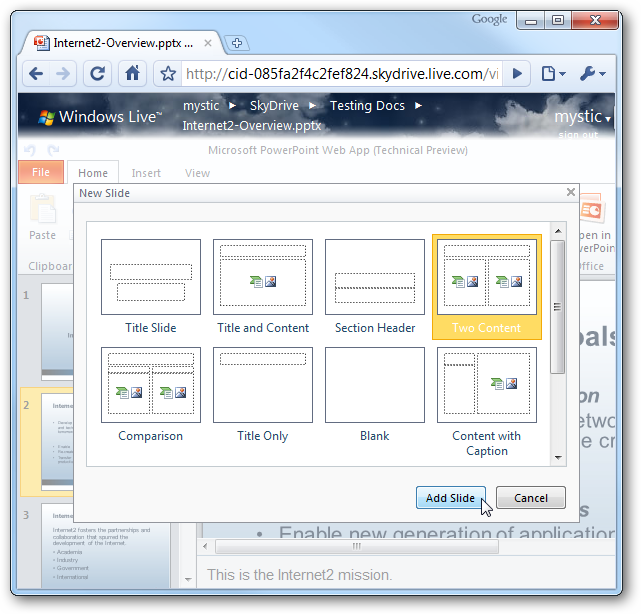 With Web Apps you can share, read, edit and create documents through your browser. 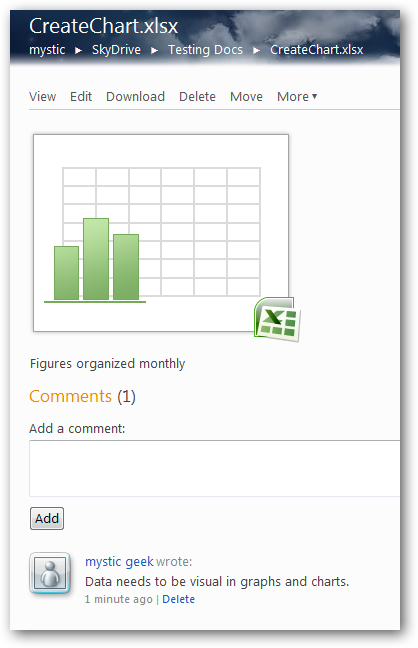 This will allow easy collaboration with other friends and colleagues to get important project results much quicker. It’s similar to the way Zoho or Google Docs allows collaboration, but this will let you keep the exact look of the desktop document and lets you edit using the familiar Office tools. 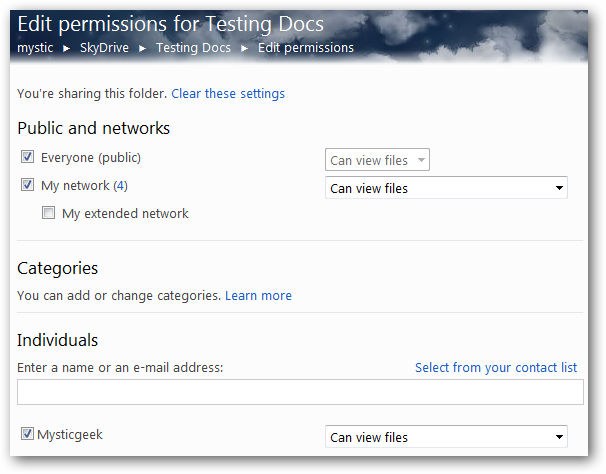 Right now the files you work with come from your Live SkyDrive and from there you can manage rights and organize files. You can access the documents and allow users to make comments on the documents as a project is collaborated on. Scroll through to access the different documents available and also notice each document will have its own URL for sharing. 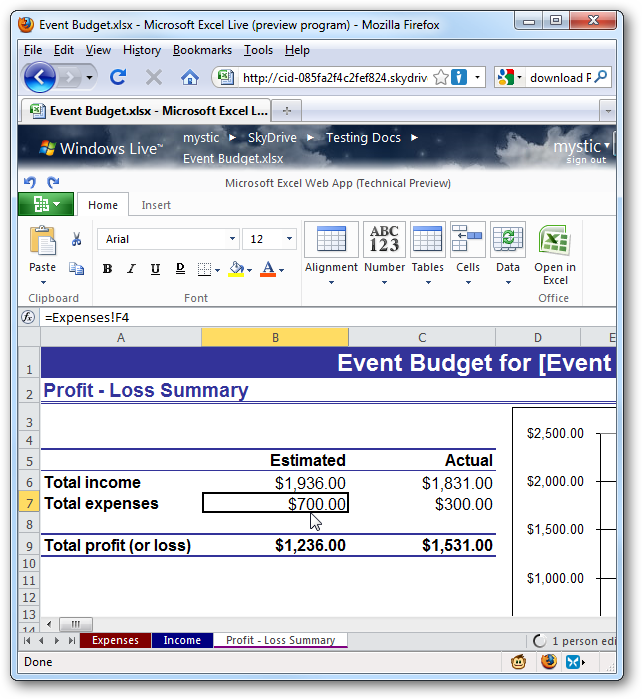 Create and edit new office documents directly on the Web Apps page. 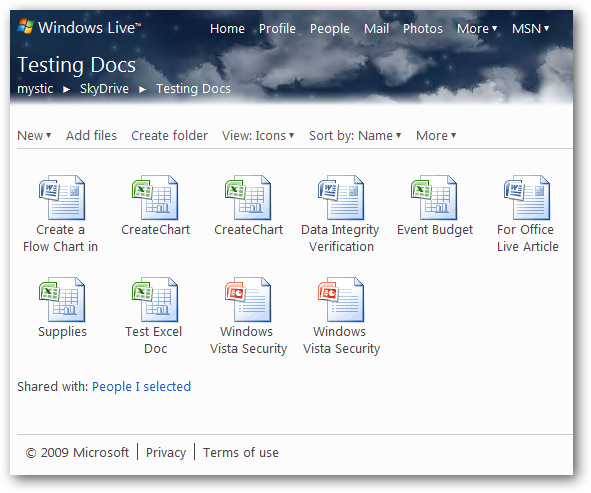 Edit permissions and control who can access the documents and if they can read only or make edits to documents. 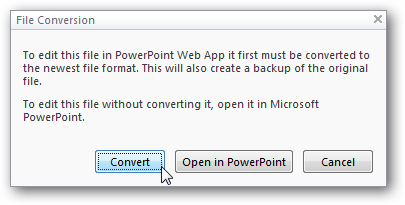 One thing to note is you’ll need to use Office 2007 format (.xlsx .pptx .docx) or higher. 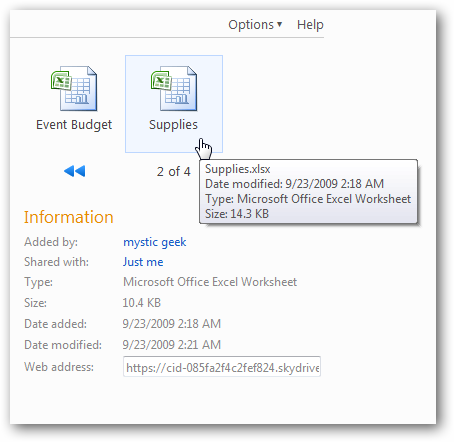 If you want to edit a document in an older format, the site will convert it for you. As of this writing Word documents are read only with no editing capability, but notice any Word doc uploaded looks as good in the browser as it does on the desktop version. 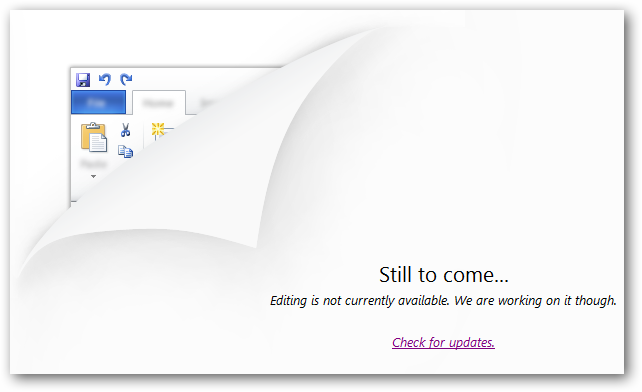 If something isn’t available yet they let you know, in this instance there is no editing in Word yet. 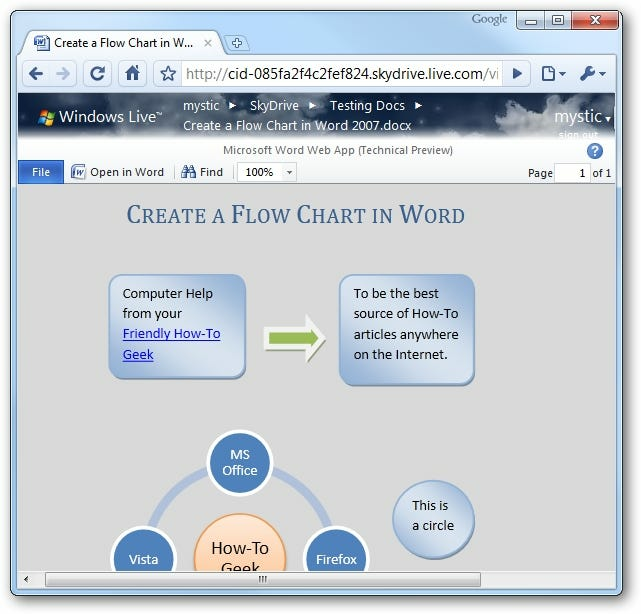 Viewing a MS Word document in Google Chrome. After opening a document, you can click on the edit button to start making changes. Here you can see functionality of Home tab on the Ribbon is available. 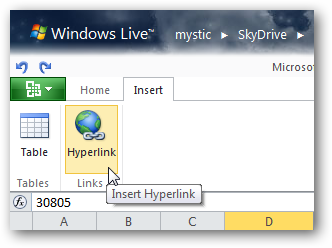 There is also limited functionality in the Insert tab as well for Hyperlinks and Tables. 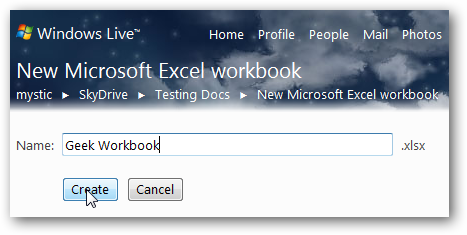 Ability to create new Excel Workbooks. A look at a brand new worksheet. 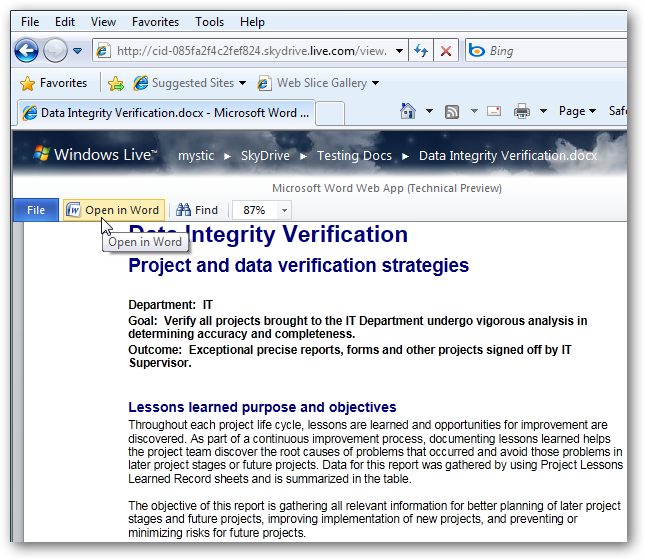 Editing an Excel document while in the Firefox browser. 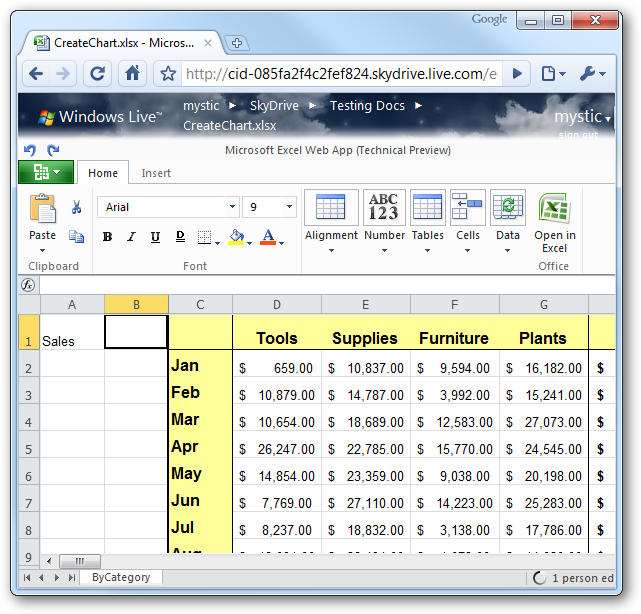 Editing an Excel Worksheet in Google Chrome. 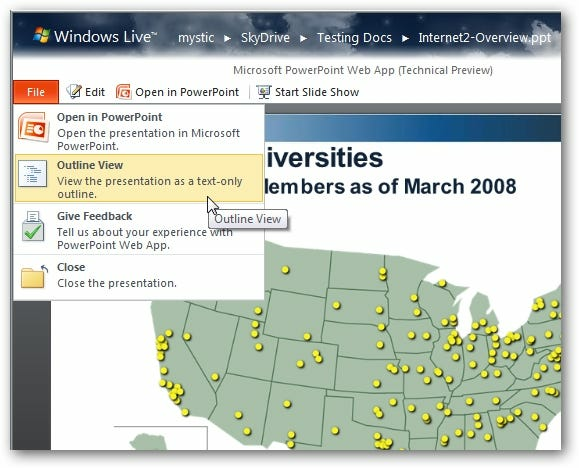 There is currently a limited amount of functionality for PowerPoint as well. It includes the Home, Insert, and View tabs with different editing features. Right now you won’t be able to make a lot of edits but can do some basic tweaking. 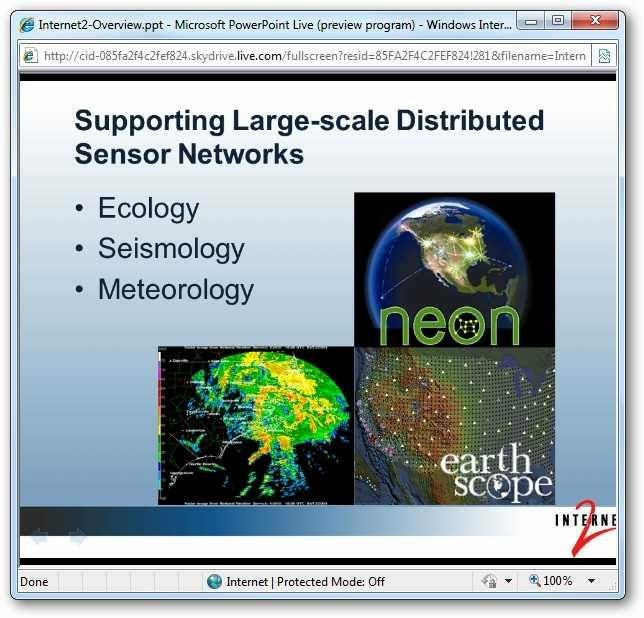 You can go into Slide Show view to view a presentation inside the browser. 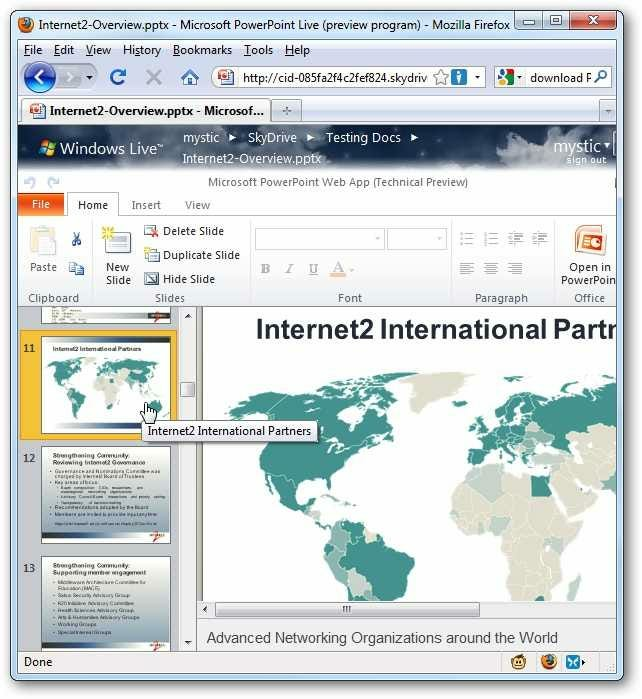 Editing a PowerPoint Presentation in Firefox. Creating a new Slide in a PowerPoint under Google Chrome. Keep in mind that this is still a technical preview and does not yet act as a full fledged office suite. It does look promising, and should help productivity after everything is polished up. One thing that seems to be missing, and this might be due to early development, is the online docs do not automatically save while editing them. You can however, take a snapshot of the document at any time or go in and manually save it. As far as the different web browsers, I found that Internet Explorer and Firefox seemed to work fine, Google Chrome was somewhat buggy, and there is no love for Opera at all other than being able to download the files. 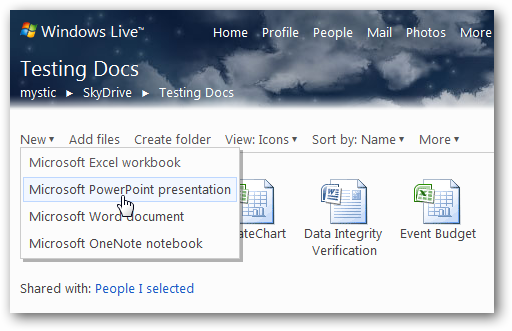 If you want to try out Office Live Apps out for yourself basically all you will need is a Windows Live account and some MS Office documents.